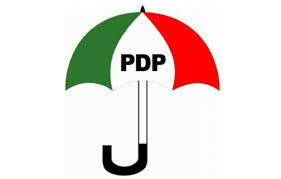 The Peoples Democratic Party (PDP) on Sunday welcomed President Muhammadu Buhari’s declaration to jail treasury looters, but challenged him to start from the Chairman of the All Progressives Congress, APC, Adams Oshiomhole. PDP said in line with his declaration, Buhari should also prosecute the sacked Director-General of the Department of State Services, DSS, Lawal Daura, and chieftains of the APC. The statement added, “President Buhari should immediately allow the Economic and Financial Crimes Commission (EFCC) to commence Oshiomhole’s investigation, which has been stalled despite his indictment for allegedly stealing billions of naira belonging to Edo state. “The PDP further challenged President Buhari to allow an investigation into the alleged frittering of over N11 trillion in the petroleum sector, under his direct supervision as minister, including the alleged N9 trillion illegal oil contract as detailed in the leaked presidency memo, the alleged N1.4 trillion corrupt subsidy regime and alleged diversion of N1.1 trillion worth crude oil using 18 illegal companies allegedly linked to Presidency cabal and APC chieftains. indicted by his state for allegedly diverting over N40 billion to finance APC’s 2015 Presidential campaign. “These are the people Nigerians have been expecting President Buhari to investigate, prosecute and if found wanting sent to jail. Unfortunately, Mr. President has been pursuing perceived political enemies, and innocent opposition members while dining and wining with corrupt persons, a development that has completely called to question the integrity of his anti-corruption fight.